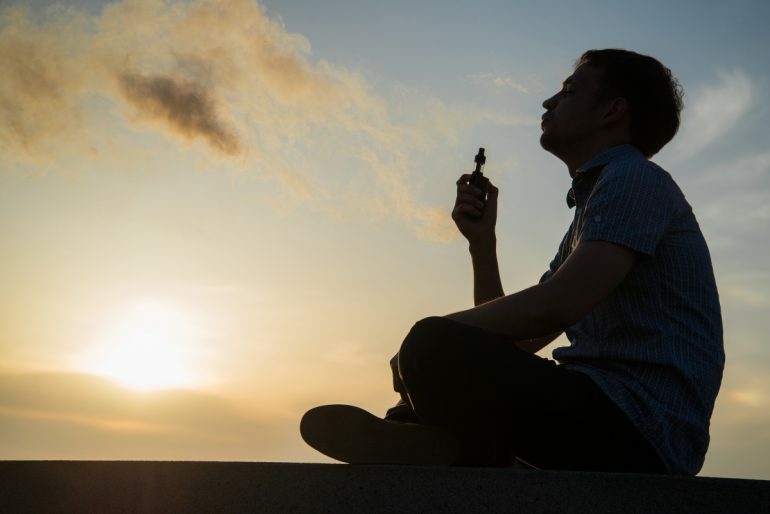 Everything You Should Know About Dosages for Vaping CBD – CBDNEWS. CBD is an adaptogenic substance, which such substances are used in herbal medicine for the claimed stabilization of physiological processes and promotion of homeostasis. CBD has been extensively researched for its positive effects on many of the systems of the body, not just the nervous system: the hormone system, cardiovascular system, exocrine system, gastrointestinal system and respiratory system. Thus, CBD is a versatile remedy for various physical pains and discomforts as well as moods from Fibromyalgia, Multiple Sclerosis, Amyotrophic Lateral Sclerosis, Heart Disease, Arthritis, Crohn’s Disease, Hepatitis, Psoriasis, Eczema, acne, depression, PTSD, anxiety, ADD/ADHD, migraines, Diabetes, improving appetite, Menopause, maternity, Asthma, nicotine withdrawal, Autism, Glaucoma, Osteoporosis, Parkinson’s, progression of Alzheimer’s, Epilepsy, symptoms from cancer treatment, and much more. To vape CBD, you require CBD e-liquid and a vaporizer or vape pen that is capable of heating and transforming said liquid into vapor. You can make your own e-liquid or you can easily buy “pre-made” e-liquids. We have a whole article on this! Check out Why Buying “Pre-Made” CBD E-Liquids is Better than DIY with CBD Isolate. For your first time purchasing a vape, we recommend visiting your local vape shop. There you can try different vaporizers within your price range and explain to the clerk that you are mostly interested in using it for CBD e-liquids. Note: Your shop might already sell CBD e-liquid, but we strongly recommend checking out online shops to make sure you are getting a “full spectrum” CBD liquid, extracted from the gentle CO2 process. In other words, we find a lot of cheap CBD e-liquids in stories and online that have untrustworthy CBD concentrate or their content is below 1% as well as products contain other unnecessary ingredients. (In the article mentioned above, we recommend Nordic Oil products, which range from 1-5% “full spectrum” CBD and whose only other ingredients are Propylene glycol and Vegetable Glycerin. As mentioned, CBD enters your lungs and diffuses directly into your bloodstream rather than first entering your liver. Thus, it rapidly supports your endocannabinoid system, which is involved in regulating pain, the immune system, sleep, appetite and much more. The body produces endocannabinoids that bind to cannabinoid receptors in your nervous system. CB1 receptors are located in the nervous system (connective tissues, gonads, glands and organs) but there are also CB2 receptors in the immune system (spleen, heart, kidneys, bones, blood vessels, lymph cells, endocrine glands and reproductive organs). (Researchers today suspect that there may even be a third cannabinoid receptor which has yet to be discovered!) In other words, the endocannabinoid system regulates many bodily functions. The peculiarity of the cannabinoid receptors is their location. To explain, your nervous system is built of transmitters and receptors, i.e. first and secondary cells. So, normally, receptors are located at the secondary cell to forward the signal on. However, oddly, the cannabinoid receptors are located on the former, i.e. the transmitter cell. This means that CBD is not directly responsible for the forwarding of the signal, but the transmitter cell retrograde, that is, returns information in a retrograde manner. Cannabinoids thus provide feedback to the transmitter cell. The messengers of the endocannabinoid system are therefore referred to as retrograde neurotransmitters or neuromodulators. So although CBD has little direct binding affinity for CB1 and CB2 receptors, it can influence the actual information transfered, also modulating several non-cannabinoid receptors and ion channels. Essentially, CBD works alongside the CB1 and CB2 receptors, supporting your whole endocannabinoid system, such as by enhancing or inhibiting the binding action of certain G-protein coupled receptors. For example, Jose Alexandre Crippa and his colleagues at the University of San Paulo in Brazil and King’s College in London have found that CBD directly activates the 5-HT1A (hydroxytryptamine) serotonin receptor, thereby conferring an anti-anxiety effect. Another example, CBD binds to TRPV1 receptors, which also function as ion channels, TRPV1 being known for mediating pain perception, inflammation and body temperature. As compared to other means for taking CBD, vaping enables the interaction of CBD molecules within record time and, as mentioned before, it is nearly four times stronger since it bypasses the liver. The many CBD oil brands make it difficult to determine the right starting dosage since they are using different standards. We tend to lean on the standards of Nordic Oil, a very reliable CBD brand in Europe. When beginning CBD, it is best to start with a small dose. It is very important to become familiar with how your body responds to CBD before increasing the dose. We always advise our customers that every person is different and everyone’s reaction to CBD is different. On an average, 25mg of CBD a day is effective for most people. The dosage of CBD can be increased slowly until the symptoms improve. If a higher dosage is ultimately desired, consider a product with a higher CBD content.